If there’s one thing the recent Congressional hearing with Google CEO Sundar Pichai showed us all, it’s that the Google empire is planning to steal every single election from here on out for Leftist Democrats – assuming American patriots do nothing to stop this from happening, of course. 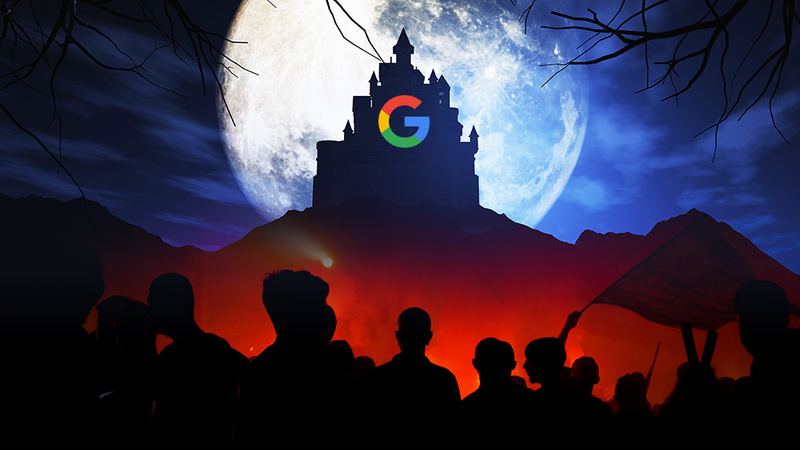 Representative Lamar Smith (R-TX) recently sat down with Breitbart News Daily to discuss Pichai’s sham testimony, which rather than quell fears that Google has become the world’s most evil multinational corporation, actually proved the opposite. Rep. Smith was one of the few members of Congress to actually challenge Pichai in any formidable manner during the hearing, revealing in the end that Google does, in fact, censors conservatives and other non-Leftist people and platforms from showing up in search queries. It was a back-and-forth between Rep. Smith and Pichai, who denied that Google employees have the power and wherewithal to manipulate what shows up in Google searches to favor “ideologically-friendly” websites, while disfavoring conservative and right-leaning websites. But this answer didn’t suffice for Rep. Smith, who rebutted that he flatly disagrees with Pichai’s statements and claims. In speaking to Breitbart News Daily, Rep. Smith expounded upon this, revealing what he believes is actually taking place behind the scenes to thwart the information that Google users are able to access. “I think what you see is an unwillingness by the head of Google to directly answer questions,” Rep. Smith stated bluntly. “We never really got a direct answer. He could never really explain why so many results of internet searches were in fact slanted against conservatives or Republicans or the President or the Vice President,” he added. In Rep. Smith’s view, Pichai “lost a lot of credibility” among those who expected better from the tech giant head. Since it’s obvious to anyone who’s paying attention that Google and many others are, indeed, censoring content, Pichai could have simply admitted to this, and given an outline for how his company plans to address the problem. “It’s almost getting to the point where they are allowing it or even condoning it. And if so, they are going to be skewing elections,” Rep. Smith added. You can listen to the full Breitbart News Daily interview with Rep. Lamar Smith on SoundCloud. Meanwhile, Alex Jones of Infowars, the biggest name so far to be completely de-platformed from virtually all major social media sites, was present during the hearing to speak his mind. Jones stormed the halls of Congress to declare that “Google is evil!” calling Pichai out directly for his crimes against humanity. Knowing that he would most certainly be a subject of discussion during the hearing, Jones also made sure to speak his mind to the members of Congress who are on the dole of Google. Several of them spoke of Jones being a “conspiracy theorist,” even as they personally accepted tens of thousands of dollars from the tech giant for playing along with the charade. Be sure to watch the full video clip at Brighteon.com. After exiting the building, Jones spoke specifically about Pichai the liar, who offered up numerous untruths about what Google is actually doing to thwart free speech and implement a New World Order police state where all information is censored. To keep up with the latest news about how the Deep State is working overtime to silence the truth, be sure to check out DeepState.news and Censorship.news.